I've been hesitating to ask for anything new with erode because there are already so many settings at our disposal and I'd be lying if I said I've exhausted all of those options; however, I think we are to the point now where perhaps some additions/improvements may be possible. 3) Erode is tough to see, the higher it is turned up (deeper) the easier it is to see of course, but that comes with it's own problems. 4) Radius for ruts versus bumps varies greatly, but we're locked into 1 (using different tilemaps is often not an option due to where you start turning, the transition, and allowing multiple lines) - more on this below. A) Displaced (built up) dirt versus "dug in" lines - would it be possible to differentiate a "hardness" of these? 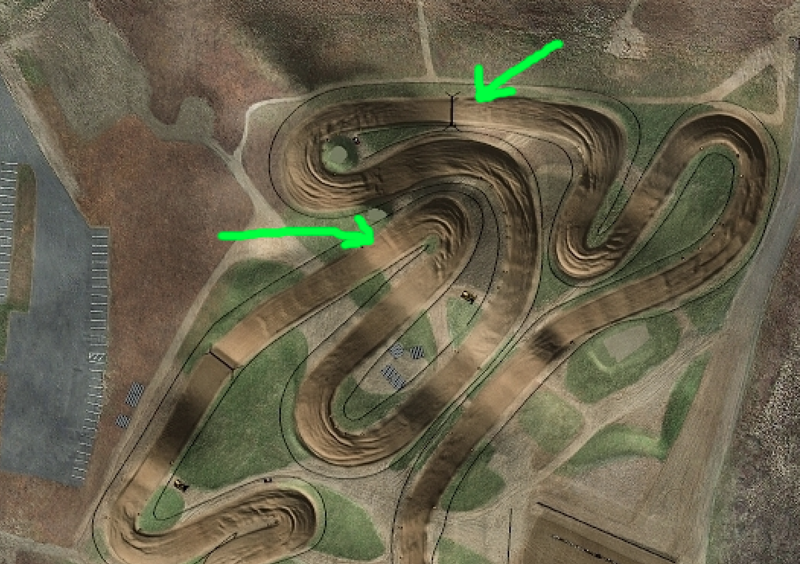 Currently, the top soil feels like it has the same effect on the physics as more dug in stuff causing a cheese grater type effect outside of main lines where in the early laps riders are crossing at different angles before a main groove is established (at least when erode limits are turned up enough to cut through the top layer quickly). Red - Currently, these are the rut shapes we are getting on anything where you are turning when they are initially getting established. (think of this as a LEFT hand turn, the inside lower than the outside). 5) They don't form realistic chop or "blow out"
What I'd rather see is that "angle" stay locked and not keep digging out the bottom transition. We're working with what I already feel is low max angle (.35 lately). I'd also like to see if somehow the inside (left part of rut in this case) would actually build up. I know unrealistic, but it would be a way to start to make the ruts more challenging and "deeper" feeling which may encourage guys to find a new line. I understand why this is happening, but I don't feel like we're getting enough dig down versus the amount of build up even with running large depth and inner-depth settings and very low displacement settings. This would help visuals a ton without creating a cheese grater. This would also help develop new lines because of the visuals as well as the increased "hold" when trying to power out a new line (drive in deeper, it helps you slow down, lay over harder, it has some hold) and also would help with the opening laps not feeling so slippy. The increased drag and soft fluff versus packed dirt would also make it feel much more like riding "in" the dirt. If you aren't turning, whether you're accelerating or braking, we aren't getting much for lines. Jump faces are all around almost always a no-go for ruts as they just turn into a pile of cottage cheese. Again, I feel like the ability to "dig in" is not enough while build up is too much across the board. 1) Ruts leaving turns still don't form as well as entering which seems backwards. 2) acceleration bumps would be formed where riders are getting back on the throttle. I know I have quite a bit more, but this is obviously quite a bit. I'm still working hard on my side to develop what we're given, but hopefully we can get some additional support from your side to make further improvements as well. One last piece with the "packed" versus "fluff" dirt. I want to see ruts be able to "blow out". If I go over the top of a rut, I want to see it get a hole in the top. This will either cause a bump in the rut versus a perfect wall ride, a new line to form from where it went over, or at least make guys slow down a bit to avoid going "off" in that spot until it's rebuilt. Once these turn ruts are built, they are just too perfect and too dominant because they are like rails. 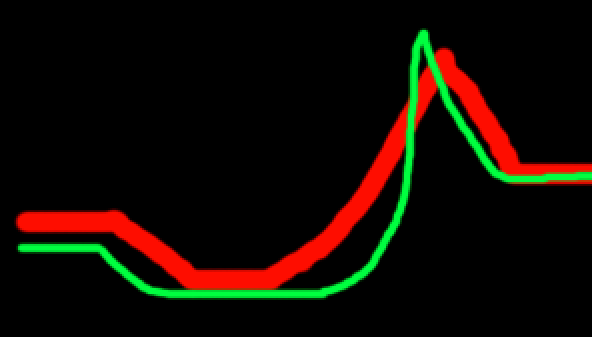 You could use a negative depth on the erode limit if you want it to apply only when above the initial grade. I'm starting to think it was better before erode limits. It seemed like in the first few online erode sessions an inside line would form, it'd get too rough and you'd have to switch to a new line. It's like we're trying so hard to force it to do one thing we're losing what it's actually good at. Would it be better if instead of erode limit it would switch tile types at a certain depth? Then you could change every single parameter instead of just the erode depth settings. It doesn't know the difference. I was trying to save every possible byte in the erode protocol so it knows the force direction but not the wheel direction. Try more erode_inner_depth. If you're in a high gear going straight there might not be enough force to clear the lower threshold. It might be because the force vector is less lateral when coming out of the turn. It should want to make acceleration bumps in that case but it might be restricted by erode limits. This system isn't really good at skinny ruts, but if that effect is critical, try using a big radius, small inner radius, setting erode_depth to 0 and doing everything with erode_inner_depth. When you do that it distributes from the inner radius to the outer and the direction doesn't really matter anymore. I am not having issues controlling the build up amount, I have issues with all the dirt being like concrete instead of dirt that is soft and will blow apart in addition to the packed, hard dirt that we have now. During those initial erode test sessions, we were using server side settings of 4+ typically. I believe we're on the same page that we want to design everything around 1.0 so 3 years from now (if the game lives that long) there is a standard and it won't be a guess what erode setting is "good" for each track. Also, I'm trying to eliminate the variables for both of us for testing by keeping that consistent. I can and will go back and try some of those initial settings, but I honestly believe we were dealing with some giant ruts, but just okay with it because we were all so excited to have erode in general. Now we're being much more picky and trying to actually make it work for racing. I think this is needed. 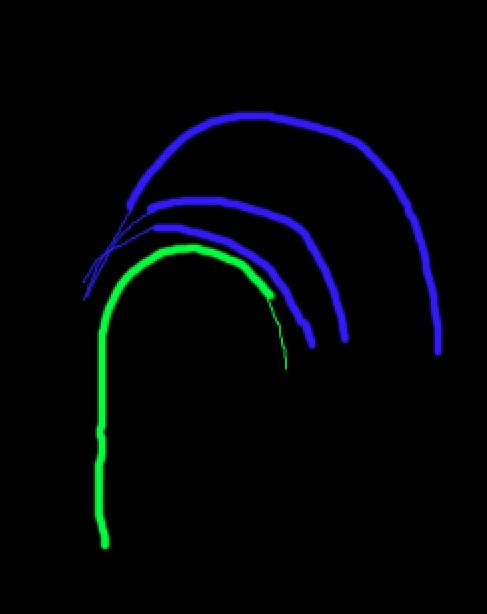 I was able to get this to work lowering the force and raising erode_inner_depth. Unfortunately, with the dirt still all being like concrete once ridden through it just creates a cheese grater/slippery rumble strip effect from crossing lines. I'm trying to use what is learned here along with softer/wider settings to see if I get negate some of the ill effects, but feels like the same issues I continue to bang my head against the wall with thus far. I'm currently working with this theory. I'll update once I have more info. Additionally, can I get a bit of an explanation on how (if any) transitions between tiles on the tilemap occur? It feels like it's on/off and no blending even with the focus turned down on painting, is this true or is there blending I'm not seeing? Lastly (for now ) how closely have you been following (if at all) the settings we've been testing and directions we've been going with erode for the replica nationals? I feel a bit stranded on an island without much for supplies and learning from scratch any survival skills I have, and it's pretty lonely here and I'm quite hungry. Derp, too early in the morning for me to quote properly obviously. I'm sure you'll see where my replies are. > I think this is needed. Do you mean switching tile types when it reaches a depth, or saving the wheel direction in the erode protocol? As we found out already it's right at the limit of acceptable bandwidth usage so I'm pretty limited in what I can add to the protocol. The best I could do would be scale down the force when it's lateral. It's hard to think of a good rationale for that though. > Additionally, can I get a bit of an explanation on how (if any) transitions between tiles on the tilemap occur? It feels like it's on/off and no blending even with the focus turned down on painting, is this true or is there blending I'm not seeing? The tilemap is not interpolated. There are too many variables for it to be practical. > Lastly (for now :lol: ) how closely have you been following (if at all) the settings we've been testing and directions we've been going with erode for the replica nationals? I feel a bit stranded on an island without much for supplies and learning from scratch any survival skills I have, and it's pretty lonely here and I'm quite hungry. Not like I should be. I promise to get more involved in the track making once I'm all caught up with everything. (Seriously!) I'm thinking maybe it'd be better to use the min/max_slope settings instead of the erode_limit settings to limit the berms. It looks like you usually use a higher than default setting there but a lower setting would help more if you're trying to prevent steep berms. If you want I could try making an erode test track for you. Maybe something with a bunch of identical sections with radically different settings so a lot of different approaches could be tested in parallel. jlv wrote: > I think this is needed. I was meaning wheel direction, but if that isn't possible maybe we can solve the problem another way. This main issue is coming into the turns we're getting long leading ruts which as the race goes on it "traps" you inside of it. Since a lot of riders start on the outside and then apex at the far inside, it creates a wall blocking any other lines. Along with the long ruts coming into the turns, we aren't getting long enough ruts exiting the turns at all. It is like it's building them backwards. I tried using mainly inner--depth with low displacement and depth. This seemed to somewhat help the leading entrance ruts (I don't think it's fixed by any means, and it was only a single moto test), but with it came the negative of not making braking bumps at all from what I could tell and even rutting through the premade bumps/rollers/etc. One cool thing though, it seemed to actually rut through the top of some jumps. Most the time this isn't a huge deal; however, do you have any suggestions for eliminating the "curb" when transitioning to a no-erode or low erode tilemap? Knowing there isn't any blending I will try to place them in areas you're jumping over, but leaving turns and such that isn't going to be an option. At least until I can find a way to get jump faces to work properly, I've been turning erode off on most jumps and this is something thinking forward that was done on most rounds of SX. > Lastly (for now ) how closely have you been following (if at all) the settings we've been testing and directions we've been going with erode for the replica nationals? I feel a bit stranded on an island without much for supplies and learning from scratch any survival skills I have, and it's pretty lonely here and I'm quite hungry. I'm thinking maybe it'd be better to use the min/max_slope settings instead of the erode_limit settings to limit the berms. It looks like you usually use a higher than default setting there but a lower setting would help more if you're trying to prevent steep berms. RIght now I'm using the erode_limit settings to limit the height/depth. I'm using min/max to control the steepness or sharpness of the erode. Current erode_min/max_slope settings being tested are between -0.25 to -0.35 and 0.25 to 0.35 and I'm actually still going lower to test .1 or .15 in next tests. It's been quite awhile since my last math classes using slope, so maybe I need to go re-learn these. Would I be correct that I could turn the decimal to a fraction, and then graph with rise/run (up 1, over 4 for .25 for example) to visually see this as well? Is the slope calculated from 0,0 completely flat terrain or from the actual point on the terrain that the bike is riding on? And is the min/max slope a cause for erode to not form on some banks/berms? I've noticed it on a few tracks and it's quite strange and I haven't necessarily found a fix for it. Finally, would min/max slope also be responsible for a curb like kicker going uphills where it transitions from a hill to a jump face? It always forms at the same spot where nothing else is going on with the terrain or tilemap other than the transition gradually getting steeper. I appreciate the offer, but as of right now I don't believe it'll be a huge benefit until the offseason when I have a bit more availability to test general settings versus track specifics. I have the perfect terrain for it, as I made John a VersusPC compound that he's given me the green light to release that is a combination of sections from a bunch of nationals and a mix of dirt and sand. From what I've found, every track has such unique sections that erode is quite different even with the same settings. Add in the fact that I need 30+ guys to accurately test and the limited time between races, I'm barely able to get the actual testing for each round done. This may be something I'd want to look at during the off season if I'm still searching and choose to continue as I'm getting quite fried with the constant testing demands on erode and building so many rounds. The biggest help would be availability to help problem solve issues like listed above and providing your suggestions and feedback on settings (similar to what is going on in this thread). And of course if you had a good way to simulate 30+ guys because getting guys in to test is getting harder and harder. The community is definitely shrinking fast right now and I feel the pressure of needing to figure out erode quickly to at least slow the bleeding. Turn up erode_depth to get bigger bumps. Basically use the overall settings for bumps and the inner settings for ruts. I'd create 10 or so interpolated tile types, where the first tile is the start of the range and the tenth is the end, and then use netpbm or imagemagick to blur the tilemap file. If you want to try that let me know. Yes, it's rise/run where run is 1. So a slope of 1 is 45 degrees. The slope is absolute, 0 is level. Probably. You can check the slopes by using gradients in the editor. OK. I just figured it might be better to use more of a scientific method in the testing. I wish I could get the AI smart enough to do it. So hard to just get them to where they can make clean laps. I turned erode_depth way down due to your suggestion that it was part of what was causing those long leading ruts going into the turns. So far, no luck getting rid of those even with erode depth cranked way down. And ruts leaving the turns are still not forming nearly as well as they should comparatively. I tried cranking the slip_scale to dig more when you're accelerating as well and it still didn't help. I can't progress much further without fixing this along with the ruts forming more berms than actual ruts. A) Is it possible to give me the ability to give a Notification to everyone on the forums about erode testing times? C) Would you be able to find a bit of free time (I can email if needed) to communicate back and forth about erode stuff beyond once a night on the forums. When I'm working with 3-4 days to turnaround the next rounds erode settings along with building the terrains, waiting a day between each bit of info slows progress quite a bit. I'll try to do some testing on it. 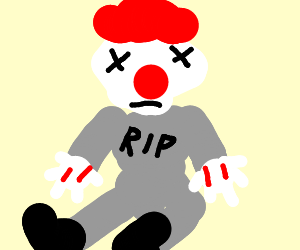 I can't do anything big since now that that clown posted a memory map of the game I really have to deal with that. Really wish that guy didn't exist. Not sure about the board wide notification. I think there's a way to sent a PM to an entire group. I'll look into it tomorrow. jlv wrote: I'll try to do some testing on it. I can't do anything big since now that that clown posted a memory map of the game I really have to deal with that. Really wish that guy didn't exist. Understand and agree about the clown. I'll forward my hate mail all his direction. Group private messages are possible. So if you wanted to make a group for the testers you could PM the whole group in one message. jlv wrote: saving the wheel direction in the erode protocol? As we found out already it's right at the limit of acceptable bandwidth usage so I'm pretty limited in what I can add to the protocol. The best I could do would be scale down the force when it's lateral. It's hard to think of a good rationale for that though. Is it possible to instead detect input and create change based on that? 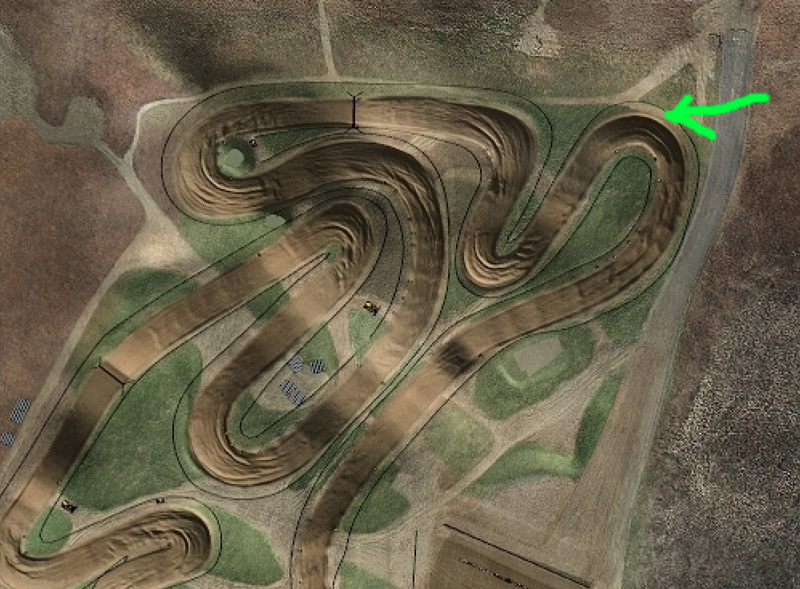 I'm willing to take about any hack it takes to get ruts to dig less entering the turns and dig more on exit. No matter the track, dirt type, or environment, SX or National, this is a big problem and I can't just turn erode off in these areas because then we get no braking bumps. I'm adding some more user friendly telemetry for erode right now. (Previously I just added printf()'s and read it off the console which was easy to code but not easy to read.) Hopefully that'll make it easier to see why it's not doing as much on corner exits.